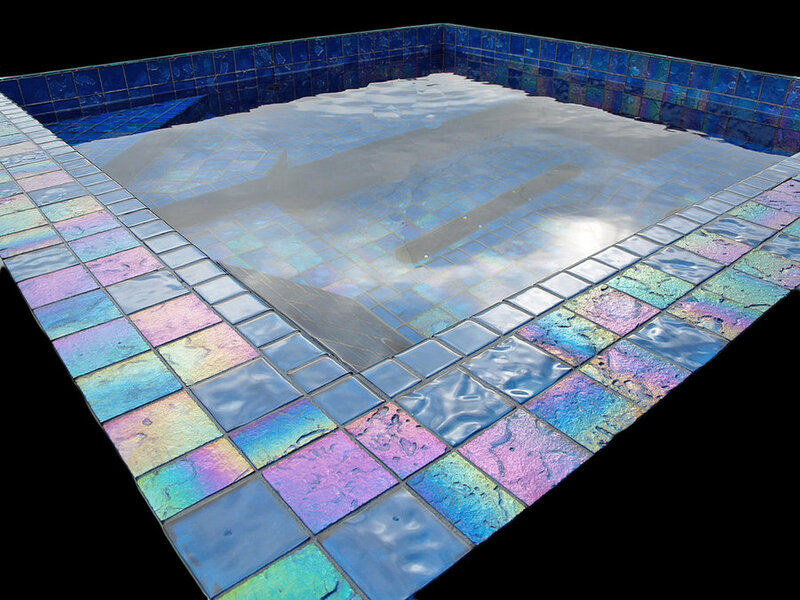 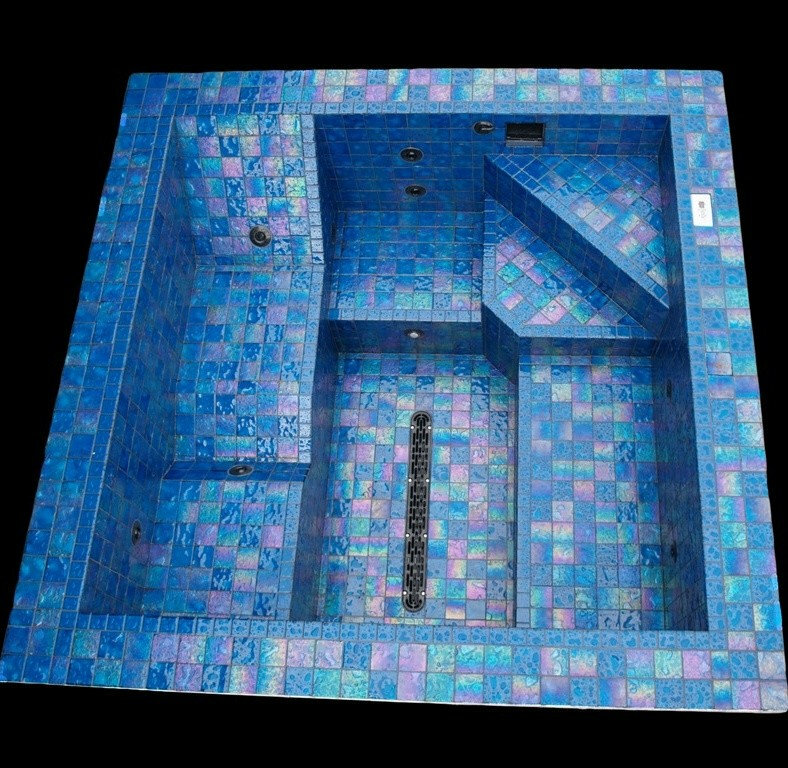 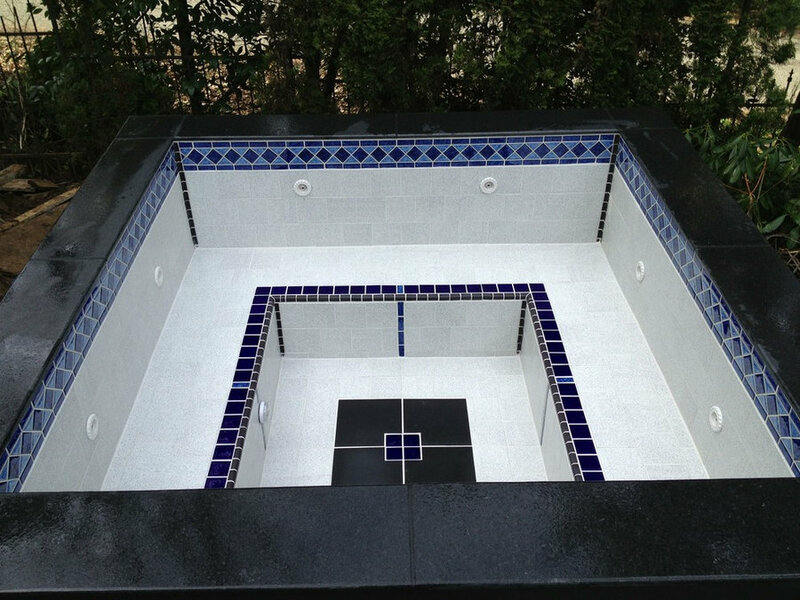 A collection of our custom, in-ground spas with tiled surfaces. 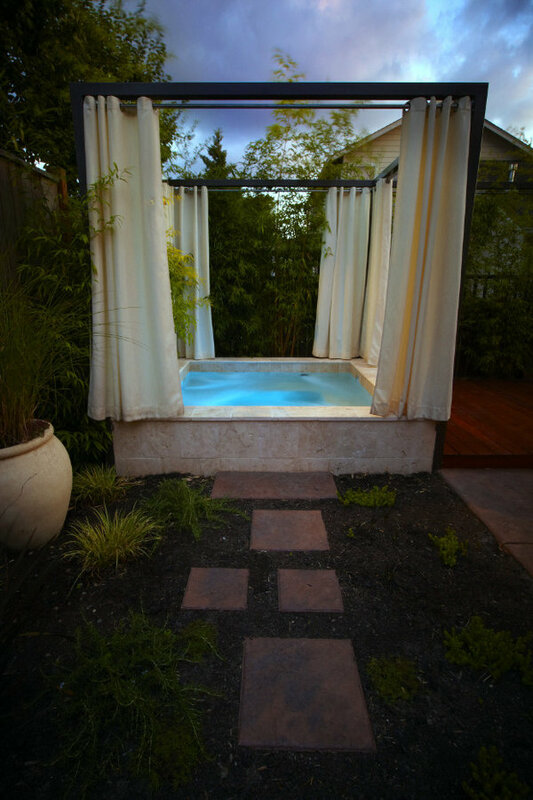 Our clients were working around the clock, so it was important to them to create a space that felt like a relaxing vacation in their home. 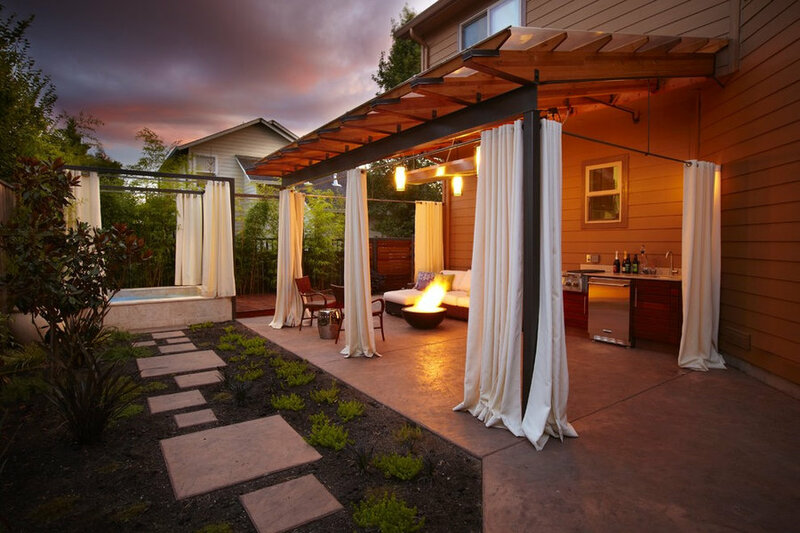 They also wanted to make sure that the design felt fuller and larger than the limited space we were working with, since they are surrounded by fences on all sides. 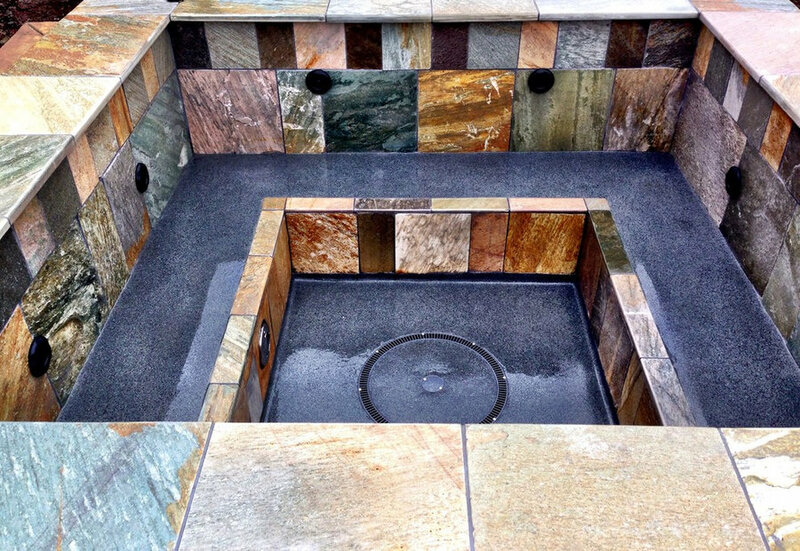 The rods and spa were custom made to fit their needs, the stand alone in-ground spa is about 18' above ground.